On the way back from watching a movie with my buddy Baker we noticed how awesome the clouds in the sky looked. We pulled over but the view just wasn’t as good as it was from the highway. We then hopped back on the highway and I attempted to take the shot from the car. 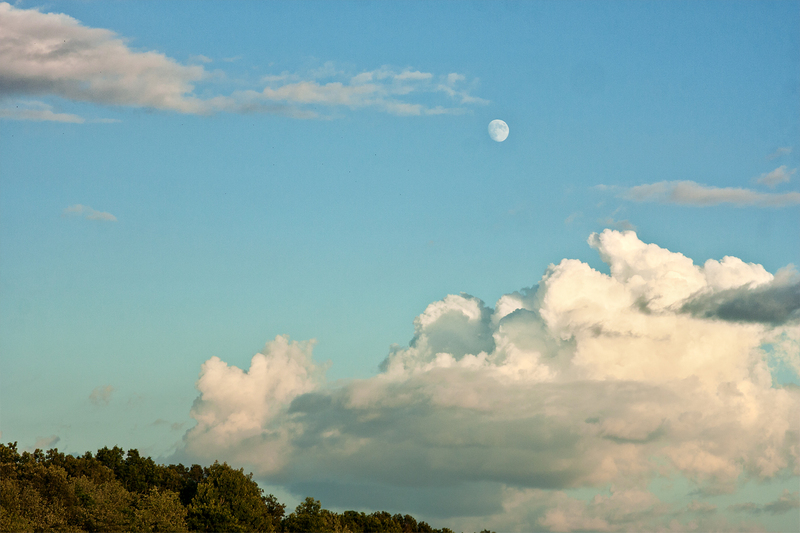 We then saw the moon pop up right about the awesome cloud formation. It’s quite hard to get a nice open sky / landscape shot in the city, so the highway was the next best thing.